VACATION LIKE A ROYAL. STAY WHERE ROYALS STAY, AND PLAY WHERE THEY PLAY. the ultimate safari experience – a bespoke blend of incomparable game viewing opportunities, luxuriant accommodations, and tailor-made experiences, all combining to create a series of unsurpassed and lifelong memories. The Royals can go anywhere in the world to get away from it all ...they choose to go to these specific locations! Want a different location, length or type of experience? We usually have other options available and would love to work with you on customizing your vacation! Click here for more options. Thanks! the Royals need a break... and so do you. Connect with nature like never before in some of the most beautiful (and remote) areas of the world. but they choose to go here. 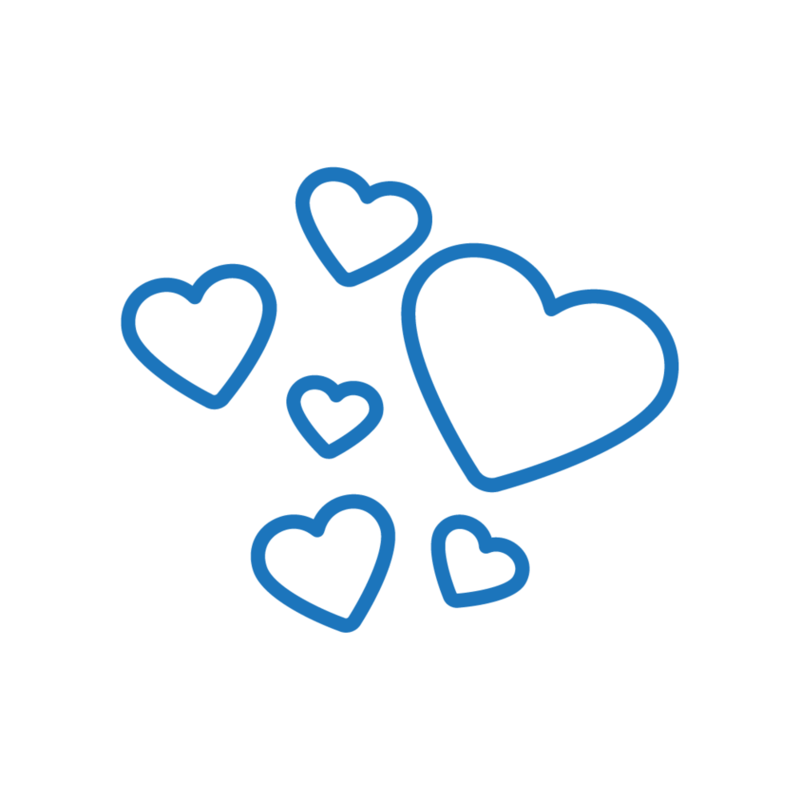 We are currently working with our partners to organize a volunteer opportunity for you! SkySafari is the ultimate safari experience – a bespoke blend of incomparable game viewing opportunities, luxuriant accommodations, and tailor-made experiences, all combining to create a series of unsurpassed and lifelong memories. Within each of these un-fenced parks and conserves, our SkySafari guests will have the chance to watch, observe and marvel at a wide variety of flora and fauna. Each park has its own ‘signature’ group of animals that is as diverse as the ever-changing landscape. From the elephants grazing on Tarangire marshes, and the lions of the crater at Ngorongoro, to the vast plains of the Serengeti home to the annual migration, Tanzania is home to an accessible wealth of wildlife that brings many travelers back time and again. The SkySafari route visits the three of the best wildlife areas in Africa: Tarangire National Park, The Ngorongoro Crater and finally the world famous Serengeti National Park. In the company of experienced professional guides and travelling in top class and highly equipped safari vehicles, the game viewing options which are available to our Skysafari guests are some of the very best that Africa has to offer. In cooperation with the Elewana Collection – luxury lodges, camps and hotels all in harmony with Africa – SkySafari guests will enjoy some of the best of accommodations and dining experiences that East Africa has to offer. From the coffee plantations that nestle on the slopes of Mount Meru, to the lofty tree-houses at Tarangire, from the grandeur of a manor house in Ngorongoro to the wonder of a tented camp on the banks of the Grumeti River deep within the Serengeti National Park, our SkySafari guests will encounter a luxurious and diverse mix of Elewana’s award winning camps and lodges. Our SkySafari guests will travel between each of the parks and conservation areas in both style and comfort. Flying with the SkySafari executive-class Grand Cessna Caravan, and piloted by highly experienced and professional pilots, our SkySafari guests will enjoy not only the comfort and style of a fast and comfortable air transfer but also view the wonder of the Tanzanian landscape from a new perspective. And with each and every transfer being provided by Elewana's very own fleet of high-standard Safari Land Cruisers, traveling to each and every camp and lodge will be an experience to be savored and enjoyed.. The Perfect Beginning and End to Any Safari. From the industrious coffee pickers gathering in the harvest to the aromas of the morning brew emanating from the Main Plantation House as breakfast is being prepared, Arusha Coffee Lodge is an explosion sensory experiences that revitalizes the body and soul for the safari adventures that lie ahead. On arrival to Kilimanjaro International Airport, our dedicated SkySafari Guest Representative welcomes our SkySafari guests to Tanzania. Each guest is chauffeured to Arusha Coffee Lodge, one hour’s drive from Kilimanjaro itself. SkySafari guests’ stay at Arusha Coffee Lodge will be on an all-inclusive basis. On arrival at the Lodge our guests receive a warm and friendly greeting and immediately sample a cool and refreshing coffee-infused welcome drink. All SkySafari guests receive an immediate room upgrade to one of the luxurious Plantation Suites that lie surrounded by the ever-present coffee trees of the plantation. • Private decks over looking the berry laden coffee bushes. • Landscaped gardens, surrounded by coffee bushes & the fragrant aroma of lavender bushes. Many a childhood would have been spent playing in the world of ‘make believe’. Within this imaginary existence many of us will have climbed and played high up in the trees and, for the lucky few, had a ‘palace’ in the sky. 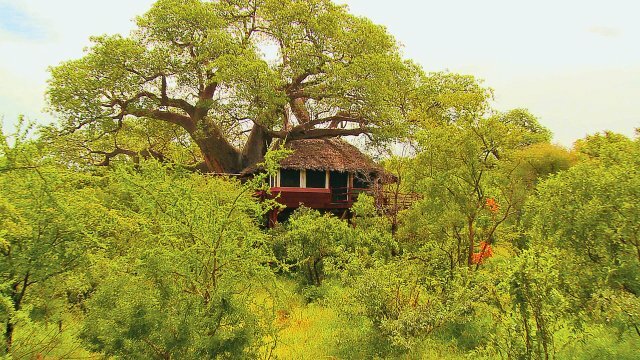 Tarangire Treetops sits serenely in a private game reserve bordering the Tarangire National Park. 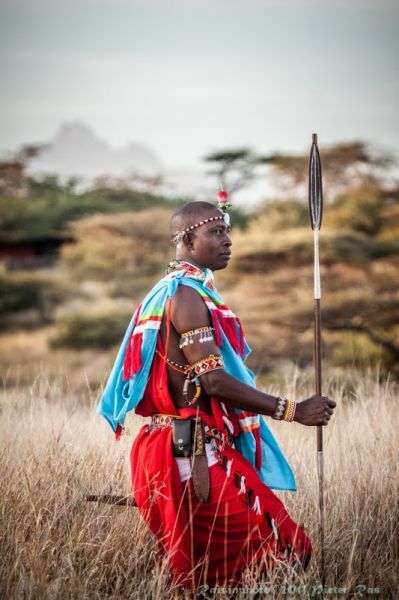 As you arrive at the Lodge, you are immediately greeted by a blaze of color and a host of smiles all of which belong to the local Maasai tribesmen who have become part of the enchanting story that is Tarangire Treetops. Named after the Tarangire River that flows through the Tarangire National Park, this vast area offers an array of game including some of the largest herds of elephant in Africa and over 550 bird species. Tarangire Treetops is 2.5 hours from Kuro airstrip. Centered about a Main Lodge - which itself encases a thousand year-old baobab tree - Tarangire Treetops comprises of 20 tree houses all of which are perched high above the ground in the broad bows of marula and baobab trees. Each tree house boasts one of the largest bedrooms to be found in any camp or lodge in East Africa – with a floor space of 65 square metres – and all with an exotic double shower en suite bathroom. With furnishings that create warmth and demonstrate a commitment to local craftsmanship, the ‘up-in-the-air’ experience is completed by the open-fronted room design affording views across the Tarangire plains from an expansive but private. 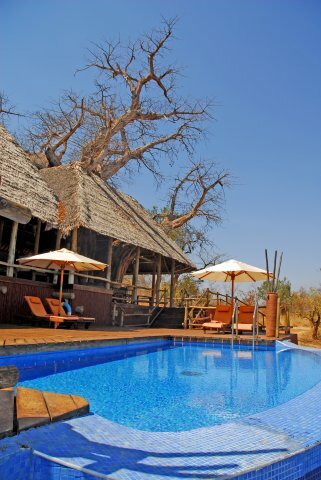 • An infinity pool over looking the game watering hole. • A game watering hole, visited regularly by the resident wildlife. • Restaurant & bar all overlooking the endless plains of the Tarangire eco-system. • A boutique shop selling a wide array of souvenirs. Shangri-La Coffee estate, The Manor at Ngorongoro is a one-of-a-kind experience. African hospitality fused with old world Afro-European architecture and décor embraces you in luxuriant style surrounded by the natural splendour of the Tanzanian highlands and the world heritage site: The Ngorongoro Crater. forever with many visitors. The view is rivalled only by the wildlife spectacle that awaits on the floor of the crater, including the Big 5. The result of a volcanic eruption 2-3 Million years ago, the caldera floor covers 64,000 acres and encompasses open grassy plains, acacia thickets, riverine forest, and fresh and soda lakes. Warmly greeted by the managers of The Manor, and having enjoyed The Manor’s special ‘High Tea’, our SkySafari guests will be invited their very own Manor Cottage to unpack, unwind and relax before being invited back to the Main House for evening dinner. And for those who wish to explore, the swimming pool, spa, games room and stables await discovery. Surrounded by the natural splendor of the Tanzanian highlands, The Manor is 20 minutes drive from the main gate of the world heritage site, The Ngorongoro Crater. The Manor exudes grandeur and old-world charm. The interiors of the main Manor house permeate through to the 10 luxurious cottages, each divided into two separate living quarters, and each with open fire places. In addition there is a charming 3 bedroom family stable cottage. Careful positioning of the guest cottages ensures that every guest experiences the natural beauty of the estate as well as the privacy and intimacy characteristic of a traditional manor farm home. Serengeti Migration Camp is the embodiment of the ‘luxury camp’ experience. Located next to the famous Grumeti River which are home to resident hippos that 'bark' and wallow their days away, Migration Camp has become synonymous with low-impact high-action game viewing in a landscape that is untouched since the dawn of time. Tucked away in the vast plains, the Serengeti Migration Camp is located at the starting point of one of the world’s great wonders - The Migration. The landscape, originally formed by volcanic activity, has been sculptured by the ever changing climate and now varies from open grass plains in the south, savannah grasslands with scattered acacia trees in the centre, hilly wood grasslands in the north to extensive woodland and black clay plains to the west. The Serengeti Migration Camp is located 40 minutes drive from Lobo airstrip. Comprising of 20 luxurious elevated tents, each with spacious and richly furnished bedrooms, Serengeti Migration Camp blends seamlessly into the environment. Each of the tents is surrounded by its own 360 degree veranda deck, making each its very own private sanctuary. The tents have their own 'rain' showers, twin vanity basins and flushing toilet. Hot and cold running water is available 24 hours a day. The rooms have electricity points for both lighting but also for charging of cameras, and other mobile communications. The main camp tent has a split level lounge, a swimming pool, restaurant and viewing platforms that offer views across the Grumeti river and to the rugged landscape beyond. But it is the drama and proximity of the wild which takes the experience of this camp to an altogether higher level. Whether it be walking safaris with experienced and highly knowledgeable guides or the sensation of being as close to nature’s daily fight for survival, the sensory feast that accompanies any visit to Migration Camp will no doubt rival anything experienced before. Tanzania has a generally comfortable tropical climate year-round, but there are significant regional variations. The coast & Zanzibar are warm & humid and can feel sticky throughout the rains. These rains throughout Tanzania are ‘the long rains’ from March to May and ‘the short rains’ from October to December. The northern national parks enjoy a warmer, more arid climate. Note that due to the altitude it can be very cold at night at the Ngorongoro Crater during June & July. The coolest months in Tanzania are from June to October and the warmest are from December to February. The local currency is the Tanzanian Shilling. You can either change money at a Bureau de Change or bank which you will find at the major airports & towns. ATMs are available there too but note that you can only draw Tanzanian Shillings. Alternatively you can change money at Elewana’s Arusha Coffee Lodge. US Dollars are widely accepted in sites frequented by tourists. We advise our guests to take spending money in the form of US Dollars cash, bring some small denominations too for tipping purposes. Note that USD bills must be newer than 2006. Credit cards are accepted at larger shops & restaurants but note that often a surcharge (approximately 5%) is levied. Note that Elewana does not apply this policy, there is no surcharge levied on any credit card payments. We advise against drinking water from the faucets whilst in Tanzania/Zanzibar. Mineral water is available in all shops & restaurants and in all the Elewana lodges and vehicles. We recommend that you use mineral water too for brushing teeth. Life on safari can be tiring from time to time. A different climate, different food & water could lead to dehydration. From the day you set foot in Africa we would suggest that you drink more water than you are used to. Note that it’s obligatory to show a Yellow Fever Certificate upon entering Tanzania/Zanzibar if you have come from a Yellow Fever infected area. If you are travelling direct to Tanzania without passing through such areas, it’s advisable but not obligatory to have a Yellow Fever vaccination. If you can’t have the Yellow Fever Vaccination for medical reasons, ensure that you carry a signed letter from your medical practitioner with you upon entering the country. It is every traveler's own responsibility to obtain the correct vaccinations which will allow you entry into Tanzania – please check with your local travel clinic or physician for up-to-date advice. 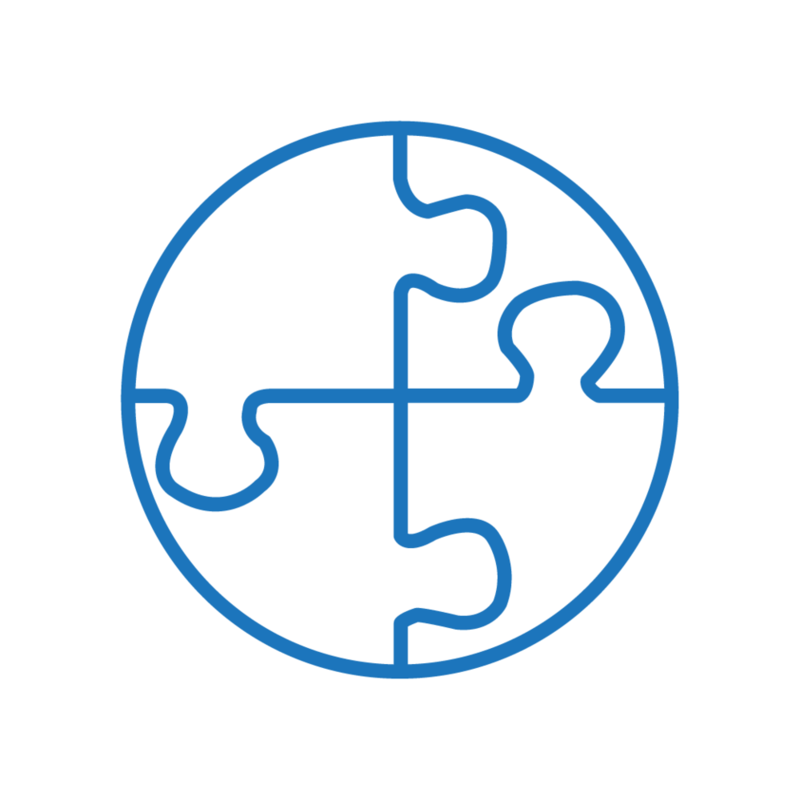 Please consult your physician or local travel clinic for an up-to-date list of required vaccinations for travelling to remote places in Tanzania. Please check with your local travel clinic what the latest requirements are for travelling in a malaria area. It’s best to prevent getting bitten by mosquitoes which are at their most active during dusk and dawn. Cover up during those periods and apply mosquito repellent liberally. Do not forget your ankles. Kiswahili otherwise known as Swahili is the ‘lingua franca’ of East Africa, including Zanzibar. English is widely spoken in Tanzania, particularly in tourist centers, lodges and main cities. Electricity in Tanzania is 240 volts AC, 50 Hz. Plugs are UK Standard plugs (rectangular 3-pin). All Elewana properties have adapters for your use in each room. Elewana Lodges run on either generator or solar power which allows for 24-hour electricity. The maximum weightlimit for luggage is20 kg for your Elewana SkySafari. Note that for scheduled flights a weight limit of 15 kg applies. Luggage should be packed in soft bagsrather than in rigid suitcases . If you are traveling with morethan 20 kgsof luggage, you can leave your extra luggage at Arusha CoffeeLodgeat no extra charge and collect it after your safari. Notethat all our Elewana propertiesprovide a freelaundry service which can help with thelimited weightallowance. timeso wesuggest puttingany essential itemssuch asa change of clothes /malaria tablets /chronic medication in your hand luggage too. • A good camera with zoom function. 300 mm l ens es are adequate for wildlife photography. • We recommend you bring plenty of memory cards /film and batteries. • A dust-proof bag ensures your camera is safe from the dust whilst on safari. • A pair of binoculars will enhance your game viewing experience and although your guide will have pairs available to use, you may wish to bring your own. • A small flashlight -although flashlights are available at each of the Elewana Collection of lodges and camps. Most nationalities can obtain their Tanzanian visa upon arrival at a fee. Make sure you bring US Dollars in cash in US $20 and US $50 bills to pay for your visa. However, some Tanzanian Embassies recommend that you obtain your visa before arrival. When applying for your visa in your home country you might be asked for means of financial support, please fill in “Pre-arranged by UK/US (or any other country) Operator.” Occasionally there are long queues at Immigration upon arrival so obtaining a visa beforehand might speed up your entry into Tanzania. Note that obtaining the correct visa is every travelers own responsibility so we advise you strongly to check with your local Tanzania Embassy for the latest regulations before arriving in Tanzania. Please note that your passport must be valid for at least 6 months after your departure from Tanzania. You need at least 4 unused consecutive blank pages. When Zanzibar is your first entry point into Tanzania, you will have to either buy or show your Tanzanian visa upon arrival. If you are flying from mainland Tanzania to Zanzibar, you do not need another visa but you may have to show your passport upon arrival in Zanzibar. Medical Evacuation insurance is included in all our Elewana safaris. Note that this insurance is not a complete Travel Insurance, it only covers medical evacuation in case of a medical emergency. It is a booking condition that all our guests have valid Travel Insurance, please check that you are covered for medical emergencies, curtailment of your trip due to unforeseen circumstances & loss of belongings. Ensure proper insurance for your camera/video equipment. Please see the "What's included" tab for more information. We often get asked ‘what should we tip?’ The simple answer is that you should tip as you wish, with no obligation whatsoever. What we do say is that tipping is very much welcomed and is normal here in Africa, and our staff very much appreciate any extra contributions. Once again we say that you should only tip as a reward for excellent service. It is customary in Tanzania to tip 10% of your bill & 10% of the taxi fare to taxi drivers. It is also the custom to tip local guides for excellent service. Tarangire has the greatest concentration of wildlife outside the Serengeti ecosystem - a smorgasbord for predators –migratory wildebeest, zebra, buffalo, impala, gazelle, hartebeest, eland and of course 300 herds of elephants all of which crowd the shrinking lagoons. The Ngorongoro Crater is often called ‘Africa’s Eden’ and the ’8th Natural Wonder of the World,’ a visit to the crater is a main draw-card for tourists coming to Tanzania and a definite world-class attraction. 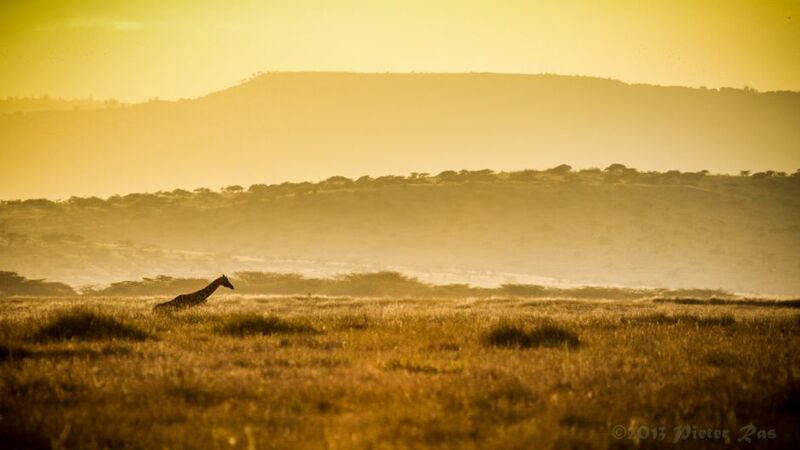 Within the crater rim, large herds of zebra and wildebeest graze nearby while sleeping lions laze in the sun. At dawn, the endangered black rhino returns to the thick cover of the crater forests after grazing on dew-laden grass in the morning mist. Just outside the crater’s ridge, tall Masaai herd their cattle and goats over green pastures through the highland slopes, living alongside the wildlife as they have for centuries. The Ngorongoro Crater and the Ngorongoro Conservation Area are without a doubt some of the most beautiful parts of Tanzania, steeped in history and teeming with wildlife. Tanzania's oldest and most popular national park, also a world heritage site and recently proclaimed a 7th World wonder, the Serengeti is famed for its annual migration, when some six million hooves pound the open plains, as more than 200,000 zebra and 300,000 Thomson's gazelle join the wildebeest’s trek for fresh grazing. Yet even when the migration is quiet, the Serengeti offers arguably the most scintillating game-viewing in Africa: great herds of buffalo, smaller groups of elephant and giraffe, and thousands upon thousands of eland, topi, kongoni, impala and Grant’s gazelle.The spectacle of predator versus prey dominates Tanzania’s greatest park. Golden-maned lion prides feast on the abundance of plain grazers. Solitary leopards haunt the acacia trees lining the Seronera River, while a high density of cheetahs prowls the southeastern plains. Almost uniquely, all three African jackal species occur here, alongside the spotted hyena and a host of more elusive small predators, ranging from the insectivorous aardwolf to the beautiful serval cat. But there is more to Serengeti than large mammals. Gaudy agama lizards and rock hyraxes scuffle around the surfaces of the park’s isolated granite koppies. A full 100 varieties of dung beetle have been recorded, as have 500-plus bird species, ranging from the out sized ostrich and bizarre secretary bird of the open grassland, to the black eagles that soar effortlessly above the Lobo Hills. Stretching for 50km along the base of the rusty-gold 600-meter high Rift Valley escarpment, Lake Manyara is a scenic gem, with a setting extolled by Ernest Hemingway as “the loveliest I had seen in Africa”.The compact game-viewing circuit through Manyara offers a virtual microcosm of the Tanzanian safari experience. From the entrance gate, the road winds through an expanse of lush jungle-like groundwater forest where hundred-strong baboon troops lounge nonchalantly along the roadside, blue monkeys scamper nimbly between the ancient mahogany trees, dainty bushbuck tread warily through the shadows, and out sized forest hornbills honk cacophonously in the high canopy. Inland of the floodplain, a narrow belt of acacia woodland is the favored haunt of Manyara’s legendary tree-climbing lions and impressively tusked elephants. Squadrons of banded mongoose dart between the acacias, while the diminutive Kirk’s dik-dik forages in their shade. Pairs of klipspringer are often seen silhouetted on the rocks above a field of searing hot springs that steams and bubbles adjacent to the lake shore in the far south of the park. • All internal flight transfers between the Elewana Collection lodges and camps with the SkySafari Cessna Grand Caravan aircraft*. 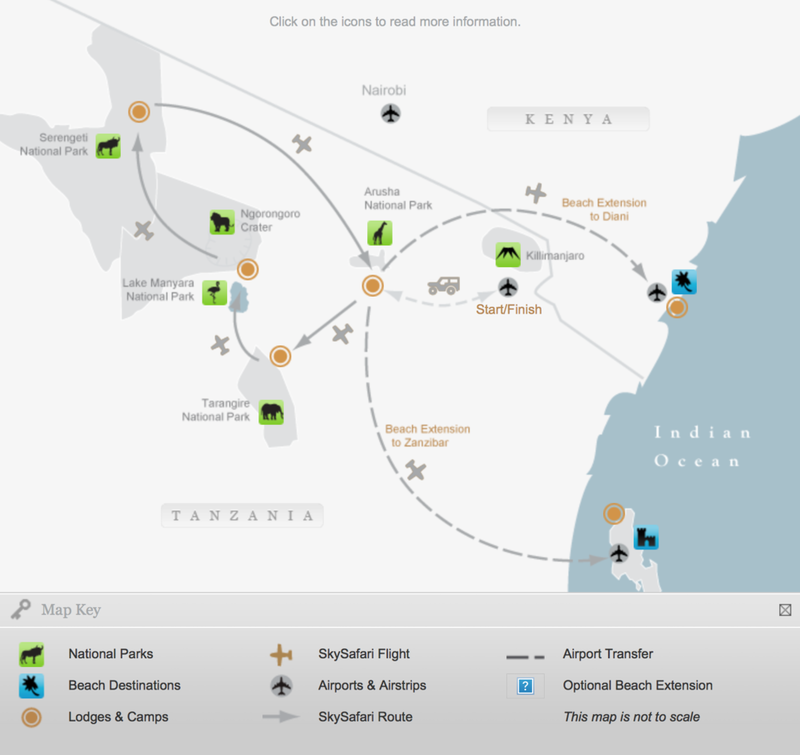 • A ‘Fast Track’ check-in at Arusha airstrip on Day 2 of your SkySafari. • Airport road transfers to and from Kilimanjaro International Airport. • All road transfers to and from the camps and lodges. • All road transfers to and from the airstrips. • Overnight stays at the selected Elewana Collection lodges and camps as detailed in the 8-day SkySafari itinerary. • A ‘fast-track’ check-in to Arusha Coffee Lodge at the beginning of your itinerary and a single check-out at the end of your safari. • A complimentary upgrade to a Plantation Suite at Arusha Coffee Lodge. • All meals and drinks (except champagnes, cognacs, single malt whiskeys, and any wines from Elewana’s exclusive cellar wine list). • Wi-Fi in main areas of all lodges and camps. For full details and descriptions of these inclusive activities, please contact us. All game drives and road transfers with a professional driver guide in a shared Safari Land Cruiser or Land Rover, with access to maps, binoculars, reference and guide books. Any bush luncheons, picnics and drinks taken as part of the SkySafari program (excluding champagne, cognacs, single malt whiskeys, and any wines from Elewana’s exclusive cellar wine list). Medical evacuation cover is provided in case of accident or injury whilst out on safari, with transfer to a treatment center within Tanzania or if necessary to Nairobi, Kenya. For full details regarding Medical Evacuation Cover, contact us. Park fees are included in our rates. • International flights to and from Tanzania (Kilimanjaro International airport). • Any and all international personal travel and medical insurances. • Any and all porterage, tips and gratuities to local waiting staff and driver guides. • Any and all excursions and activities not listed in the SkySafari inclusive program. • Any additional items of a personal nature (e.g. phone charges, adapter plugs, toiletries). 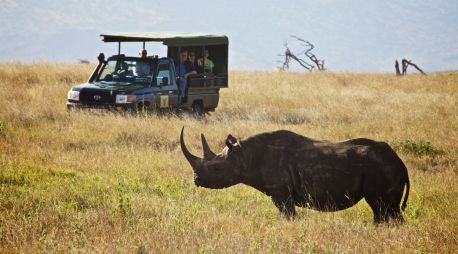 • A Private safari vehicle for game drives and transfers (available on request at an additional charge). Your transfer and game drive vehicle may be shared with other guests. Should you wish to have your very own private safari vehicle for any part of your journey, please contact us to check vehicle availability and additional pricing. From time-to-time, scheduled and unscheduled maintenance to the SkySafari Grand Caravan is required to ensure the safety and security of our SkySafari guests. Should the Skysafari executive aircraft be taken ‘offline’, alternative air transportation will of course be provided. However it is important to note that, as the SkySafari Executive Aircraft is one of a kind in Tanzania, any replacement aircraft may differ in its interior design, seating design and configuration, and may not necessarily match the images that are portrayed on this website. Should a replacement aircraft be required, SkySafari will not be liable for any refund or claim. Are there any other taxes or surcharges? VAT is included in all our rates and park fees. The Tanzanian Government charges a Tourism Development Levy of US$1.50 per person per night, which will be added to your invoice as a separate item. The Zanzibari Government charges Zanzibar Infrastructure Levy of US$1.00 per person per night for any accommodation on Zanzibar, which will be added to your invoice as a separate items. The SkySafari plane returns to Nairobi or Arusha at 17:00 hours. What happens if my international flight departs earlier? We book a scheduled flight for you which brings you back earlier. There is no extra charge for this scheduled flight; please bear in mind that there is no refund either for the unused seat on the SkySafari aircraft. What is the earliest international flight that I can book on the last day? If you prefer to return on the SkySafari aircraft, the earliest international flights you can book are those that depart at 20:30 or later. If you depart earlier than that, we will book you on a scheduled flight. The earliest international departure you can book is then 15:00. These timings apply to both Kenya and Tanzania. Are the transfers on the last day included, even if I don’t fly back on the SkySafari Aircraft? If I book an extra night before or after the SkySafari, are airport transfers included? Is there Wi-Fion the SkySafari? The main areas of all the lodges and camps offer free Wi-Fi. Please bear in mind that the Wi-Fi in East Africa is not lightning fast. I am lactose intolerant/require gluten-free meals/allergic to peanuts/vegan. Can you cater for this? Yes, our chefs have been specially trained to deal with many different types of dietary requirements. The chefs will personally discuss your upcoming meals with you. Please also be sure to notify us of dietary requirements when making your booking. I have Sleep Apnea and use a CPAP machine which requires electricity throughout the night. Do all the lodges have 24-hour electricity? Yes,they do. Bringing a CPAP machine is not a problem, and we will ensure that your machine is plugged in. Can I extend my stay at one or more of the resorts? ‘SkySafari Plus’ provides all the drama and excitement of our classic 8-day ‘SkySafari’, but with additional optional extensions that will enhance your ultimate Tanzanian adventure. With a ‘SkySafari Plus’ holiday you can tailor your experience to meet your personal desires; spend more time relaxing within a tranquil coffee plantation after your safari, or extend your time in the Serengeti at one of our celebrated bush camps to view the annual migration and the ‘Big Five’. Perhaps you may decide to visit the sparkling spice island of Zanzibar to unwind and soak up the sun at our exceptional boutique beach hotel. The choice is yours! With ‘SkySafari Plus’ you can experience more of the wonders of Africa for longer. If you would like to extend the itinerary by staying a day or more at one or more of the resorts along the SkySafari route, please let us know and we will be happy to offer additional pricing. How many nights can I extend in the Serengeti or Masai Mara? As many as you would like. Please contact us and we will create an unforgettable itinerary for you. Can I combine a trip to Tanzania with a trip to Kenya? Absolutely, this will provide the ultimate African experience. Please contact us for a special discount. What is the best time to come on a SkySafari? There is no best time, each season has its own special features. Travel in rainy season (Mar-May and Oct-Nov) and the landscape is beautifully green, the dust has settled and there are fewer visitors on safari. The grass is fertile and tall which makes spotting game more challenging but rewarding. The remainder of the year is called the dry season, when there is less water available so animals tend to congregate around the water sources, making game spotting easier. This season also attracts more visitors on safari. What is the luggage limit? 20kg for main luggage and 2kg for hand luggage. SkySafari has a weight limit for luggage of 20kg and 2kg hand luggage. What happens if I book one of your extensions whereby we travel on a scheduled flight? Scheduled flights have aweight limit for luggage of 15kg. It is possible to store extra luggage at Arusha Coffee Lodge or our Nairobi office free of charge while you carry on with your extension. At the end of your trip we will ensure you are reunited with your luggage in either Arusha or Nairobi. However, please do contact us and we will advise you of the possibilities for your specific itinerary. Is there a minimum or maximum age for travelers on SkySafari? No, there isn’t, we welcome people of all ages. Children of all ages are allowed; we do suggest that children of the ages of 5 years and up seem to get the most out of their experience. For families with young children we suggest that you book Exclusive Vehicle Use so that you have the flexibility to enjoy your safari activities at your own pace. There is no upper age limit. We do ask you to let us know in advance if your guests are physically challenged or less-abled. I have a knee/back problem, can I still come on safari? Absolutely! Please do let us know in advance so that we can book rooms closest to the main areas for you. Please bear in mind that there are steps in many of our lodges and camps. Our SkySafari eliminates long road transfers between lodges as these transfers take place in our SkySafari aircraft. However, game drives are conducted in the National Parks and Conservancies and the roads can be bumpy and one spends several hours on game drives. My mother is in a wheelchair, can she come with me on SkySafari? Yes, we would love to welcome her. Please bear in mind that there are few facilities for handicapped/less-abled people in Tanzania and Kenya, but if your mother doesn’t mind being carried into the game drive vehicle and to her room, then she will take home memories to last a lifetime.